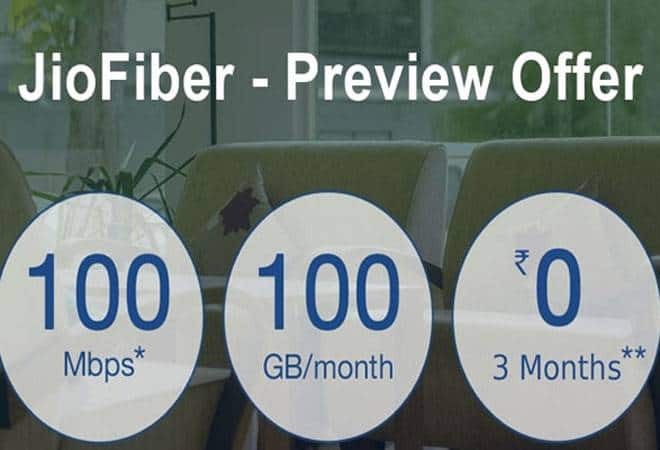 Majority of the individual are waiting for Reliance Jio GigaFiber broadband launching, here it is informed that Jio Fiber Registration has already been started and it is expected that the Reliance Jio Infocomm Limited will launch GigaFiber broadband in the month of November 2018. Whereas the Preview Offer of the broadband will commence from January 2018 and will continue till March 2019. Many of you have a question in your mind that How to Apply Online? Don’t worry! For your convenience, we have provided some simple steps through which you will able to apply online easily. We have also stated the Plan & Offer Schemes, it is sure that the broadband will be launched with a blast. Recently there is the declaration of three types of plans that is Volume Based Plans, Speed Based Plans and Special Plans. The details of all the three pals are well stated below. So what are you waiting for? Go through page and get other details on Jio Fiber Registration. The installation process of Jio GigaFiber installation is free of cost. However, provider will asked for the security money which will be refunded when the user end the subscription. When you reached the home page you have to go to the left side of the page and you have to enter your current address. Now your location will appear there, you can change the current location either by moving the pin on map or by click on “change” button. Thereafter hit on submit button and the motioned address is of “home” or “work”. Fill asked information “name” and “contact number”. Thereafter press the “Generate OTP” button. Enter the ITP received on your registered mobile number. Congratulations!! Your registration is completed.